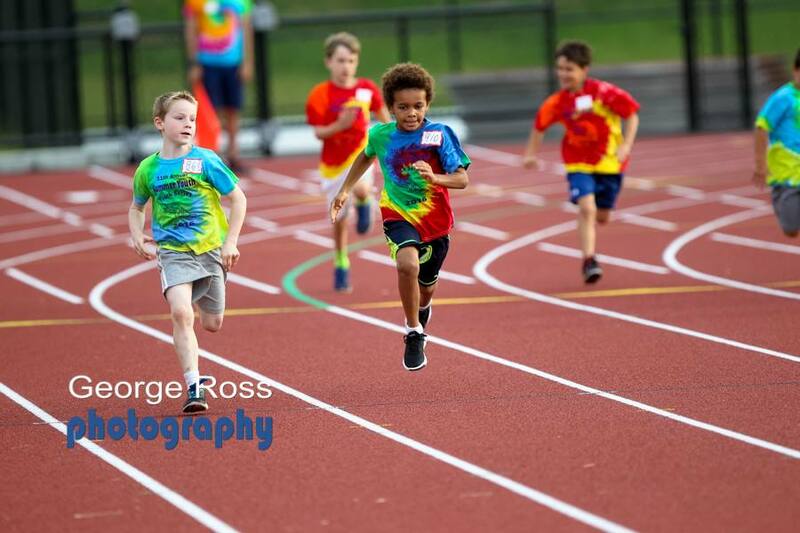 The 2018 Summer Youth Track Series will be our 13th annual, and will be held on 3 Monday nights in July. Meets are on Monday nights beginning at 6:00pm, with the last event ending around 8:15pm. Registration is from 5:15 to 6:00. This is a free, three-week series held on three consecutive Mondays nights, starting on the first Monday after the 4th of July. Meets are on Monday nights beginning at 6:00pm, with the last event ending around 8:15pm. Registration is from 5:15 to 6:00. Any boy or girl aged 13 and under. No. If your toddler can walk, they can participate. 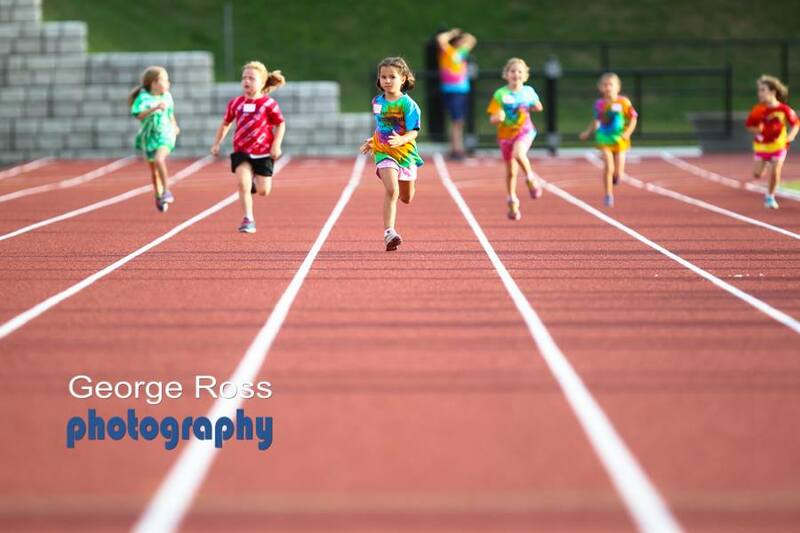 We regularly have 1 and 2 year olds doing the 50 meter dash (accompanied by their parents). Are meets ever cancelled because of weather? Meets will be canceled due to heavy rain or thunderstorms. There are no rain dates. 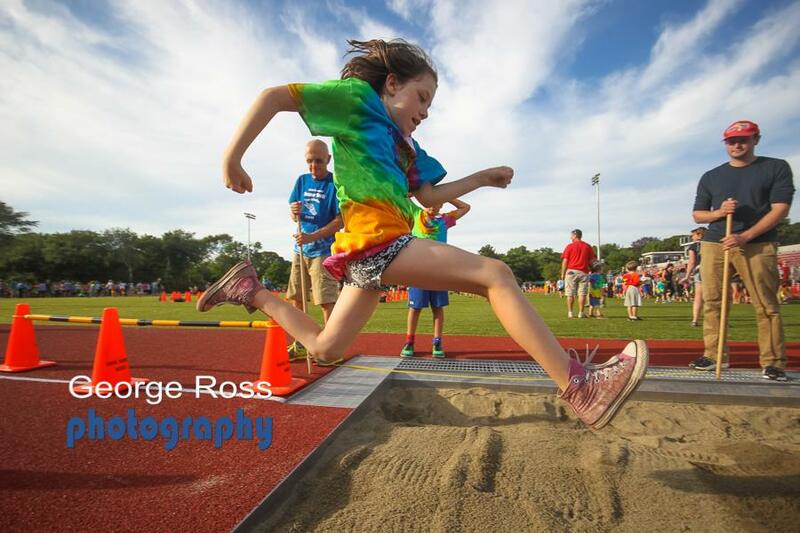 Unless they are last minute, cancellations will be posted on this page or on the Youth Track Series Facebook page. How are kids grouped for the events? Kids are grouped by age. 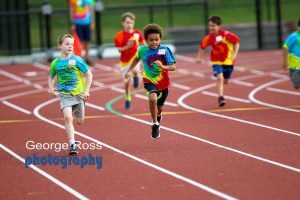 Children 6 and under follow a different schedule then those aged 7-13, and in the running heats they run with kids of the same age. Boys and girls sometimes run together, depending on the number of participants. Water is available for the kids to drink. Please note that the new track facility does not allow food or other beverages on the track or turf. Is the emphasis on competition or recreation? The emphasis of the meets is to promote self-confidence, sportsmanship, and fun. No special prizes are awarded for winning races. Instead, every participant gets a ribbon when they leave the meet. Although the emphasis is on recreation, times are recorded and results are listed on www.coolrunning.com. Results are posted on www.coolrunning.com and appear sometime on the day following a meet.